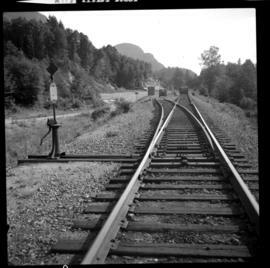 Photograph depicts a speeder proceeding north to Squamish. 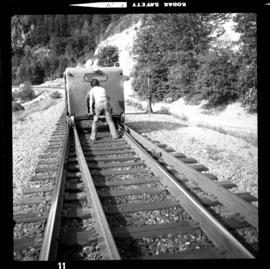 Davies notes that it was easier to lift a speeder over the blades than work the switch. 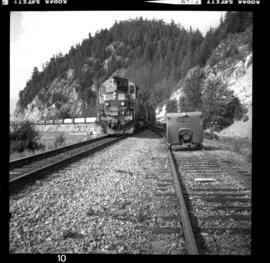 Photograph depicts a southbound freight headed by locomotive #714. The speeder on the siding was headed northbound. Photograph depicts a few speeders passing by. The one on the right is preceding southbound freight. Siding has the capacity for 55 cars.